DAVID LE/Staff photo. 7/7/15. 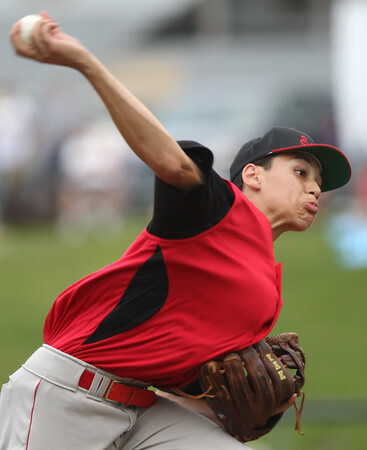 Salem's Lee Pacheco picked up the win in relief as the Salem Williamsport All-stars picked up their third win in pool play with a 2-0 win over Pine Hill.